This complimentary workshop is for financial advisors and wealth managers who work with or aspire to work with high-net-worth (HNW) clients on the life-cycle of wealth: accumulation, preservation, and distribution. By applying concepts and techniques taught in the Certified Private Wealth Advisor® (CPWA®), attendees will learn to identify and analyze the challenges HNW individuals face, and understand how to develop specific strategies to minimize taxes, monetize and protect assets, maximize growth, and transfer wealth. Please note, this workshop is not intended as study prep for the CPWA Certification Exam. For questions please contact workshops@i-w.org.  *If you are already a member of the Investments & Wealth Institute or a holder of the CPWA designation, we have set aside a limited number of reservations. Your attendance will be confirmed in the order that it is received and based on availability.